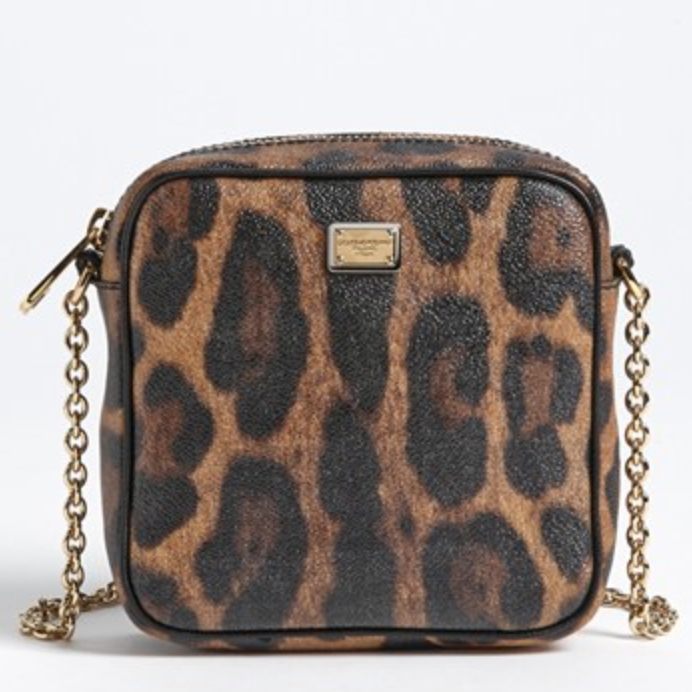 Flaunt your wild side with a square, leopard-spot crossbody bag trimmed in ebony calfskin and strung on a long chain strap. 6″W x 6″H x 2″D. (Interior capacity: small.